This article was updated with the latest information at 8:55 p.m., Sunday, Dec. 10. The latest update can be found here. Scorching through Ventura County for a sixth day, the Thomas Fire reached Santa Barbara County on Sunday as officials ordered new mandatory evacuations. The community of Montecito is under voluntary evacuations from between Highway 101 and SR-192. The destructive blaze has burned 230,000 acres along its path since it first started on Monday, Dec. 4. The blaze was contained by 10 percent Sunday evening. It's destroyed 644 homes, damaged 165 homes, destroyed 15 commercial structures, destroyed 127 minor structures and damaged 19 other minor structures. 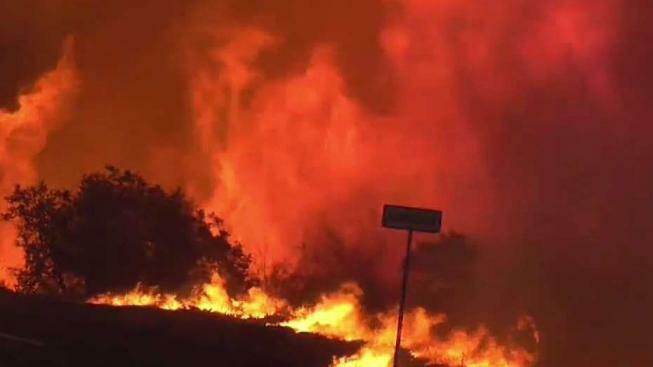 The cost associated with the damage of the fire is an estimated $34 million, according to the Ventura County Fire Department. Officials warned residents of active fire areas that strong Santa Ana winds, which have been fueling the Southern California wildfires, will remain through Sunday. Gusts are expected to blow from 30 to 50 mph, according to the VCFD. 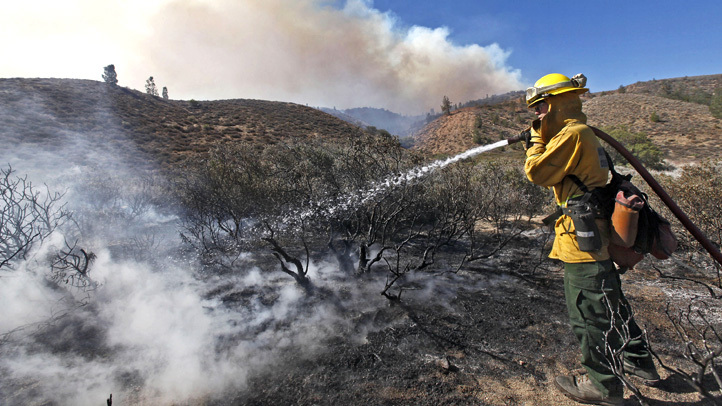 Mandatory evacuations in the city of Santa Paula were lifted on Saturday, according to the California Department of Forestry and Fire Protection. If you would like to donate to a GoFundMe account set up for the Forehands, you may do so here. Note that GoFundMe deducts 2.9 percent of all funds raised, plus 30 cents per donation, in the form of payment processing charges.